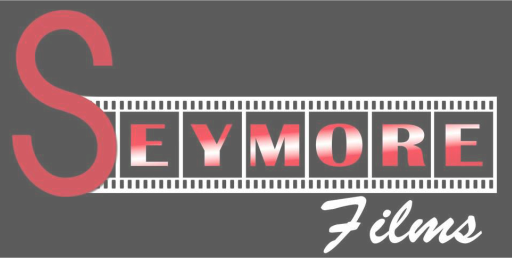 Welcome to Seymore Films! Founded in 2009 by President John E. Seymore , we are an independent film production company that has cast, directed, produced, and written in an eclectic array of internationally-distributed feature films, web and TV series, shorts, commercials, and music videos. Since 2009, Seymore Films has offered innovative video production solutions for our clients. Our team has a passion for telling rich stories accompanied with high concept visuals in all the productions in which we are involved. 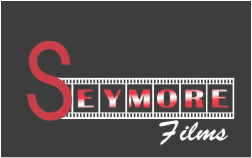 Seymore Films is a full service video production company specializing in creating entertaining videos for use on any platform: the web, in television and film productions. Our work is diverse and we strive to continuously evolve in all the videos we create. Our clients range from small indie projects looking to bring their story to life to major film productions looking for a la carte services or full production services. Our team has extensive experience working on television programs and award winning feature films and documentaries. With all the exciting endeavors we’ve taken on, we always focus on providing clients with not only the tools and expertise they need to create their content, but also with excellent service. Our promise is to deliver high quality videos on time and on budget. Season One of our series Alibi Boys was released on YouTube on June 15—check out Episodes here! We’ll also be shooting our new TV series The Weed Detective in August, so stay tuned to our Facebook page for updates and links. In addition to producing these and our other projects currently in development, Seymore Films offers comprehensive script coverage, casting-and-crew, production, sales, marketing, and distribution services to individuals and teams, tailored to your creative and budgeting needs. We invite you to explore our site, learn more about who we are, where we came from and where we are going and contact us with any inquiries or proposals. A partial list of services we provide can be viewed here . With a vision and a business plan that focused on well written, character driven, financially viable films, President John E. Seymore founded Seymore Films in 2009. Since then, Seymore Films has worked independently and in conjunction with other production companies to develop a stable of feature films, Web and Television content that have acquired major distribution and exposure at film festivals worldwide. Our Production Services can be found here. John E Seymore and AD Paul Spiezieale on the set of Tangled 8.